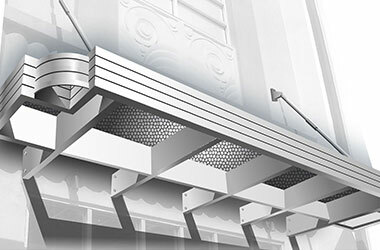 If you are looking for a resource that can provide you with custom canopies, you are certainly in the right place. 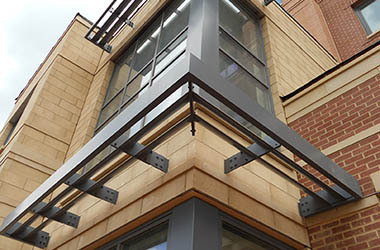 Our company, MASA Architectural Canopies, is comprised of a team of experienced professionals who are very passionate about the work that we produce for our clients. We started out over 20 years ago, and we have continually built on our reputation as the premier resource for custom canopies. At this point, we have large facilities in New Jersey, New York, and Florida, and we have manufacturing partners that we work with all over the United States. 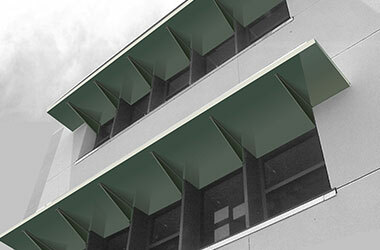 There are many different facets that go into any architectural design project. It takes a great deal of vision and creativity to create a retail space that will be fully functional as it simultaneously acts as a magnet for passersby because of the aesthetic qualities that it exudes. Plus, there is the matter of integration. The structure has to fit seamlessly into the surroundings, and this will be a big part of the design equation. In addition to custom door canopies and window canopies that are used for sun resistance and weather protection, we also provide front facing canopies for stores that become part of their branding efforts. Over the 20-plus years that we have been providing custom canopies to clients all over the country, we have refined our capabilities, and we have an extraordinary combination of resources in place. We have design professionals, architects, and engineers on staff. 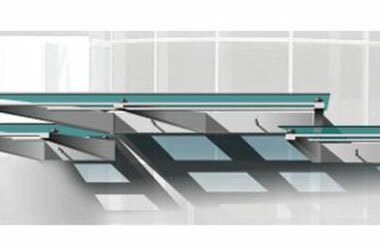 Our manufacturing capabilities are unrivaled, and there is virtually no limit to our installation abilities. 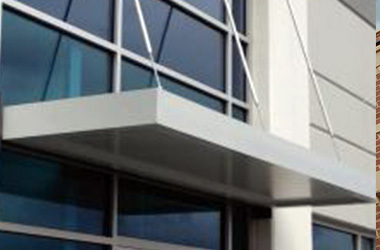 Architectural design professionals around the United States recognize us as the leading provider of architectural canopies. If you would like to discuss a door canopy job or a custom canopy project of any size or scope with a knowledgeable member of our team, we are standing by right now to help. You can reach us by phone toll free at 800-761-7446, and you can alternately send us a message through our contact page.